The FODMAP diet is a successful diet that can help you to allieviate IBS symptoms. It has been researched and developed by Monash University led by Professor Peter Gibson. The diet is gaining popularity as more and more people are finding that the diet is a big help in reducing their IBS symptoms and allowing people to live their lives and not be chained to their toilets or be in constant pain. The FODMAP guide is a good place to start learning about the diet. For a more detailed look at what FODMAPs really are go to the What Are FODMAPs? page. After getting to know the gist of the diet it is helpful to go to the FODMAP Food List and study the list and figuring out which foods you will have to be wary of and which you may have to substitute when cooking. 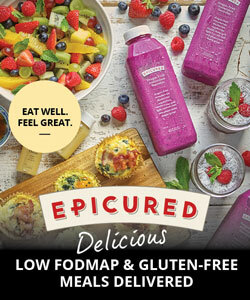 You can view some helpful FODMAP friendly recipes at the recipe page. 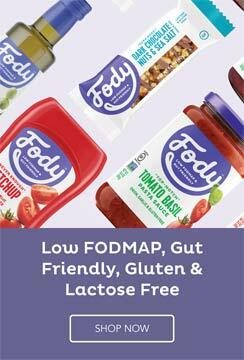 Friend of the site Suzanne Perazzini, a nutritional therapist, offers two very helpful services to guide you to a better understanding of the low FODMAP diet and lifestyle choices related to the diet. 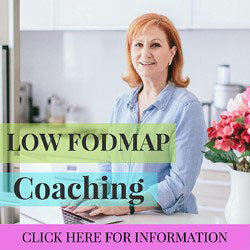 Suzanne’s FODMAP 1 on 1 Diet Coaching offers an invaluable resource with access to someone who also suffers from IBS and has great experience with tackling the disorder. Suzanne tailors the sessions completely to you and offers some fantastic guidance and support. Suzanne also offers a FODMAP meal planning service where she provides an individually tailored set of meal plans along with great supplemental content. Low FODMAP Meal Plans Video – A Typical Day is very helpful for seeing what a typical day of meals and snacks is for someone meal planning for the low FODMAP diet.